Need a vocal mic that does everything? 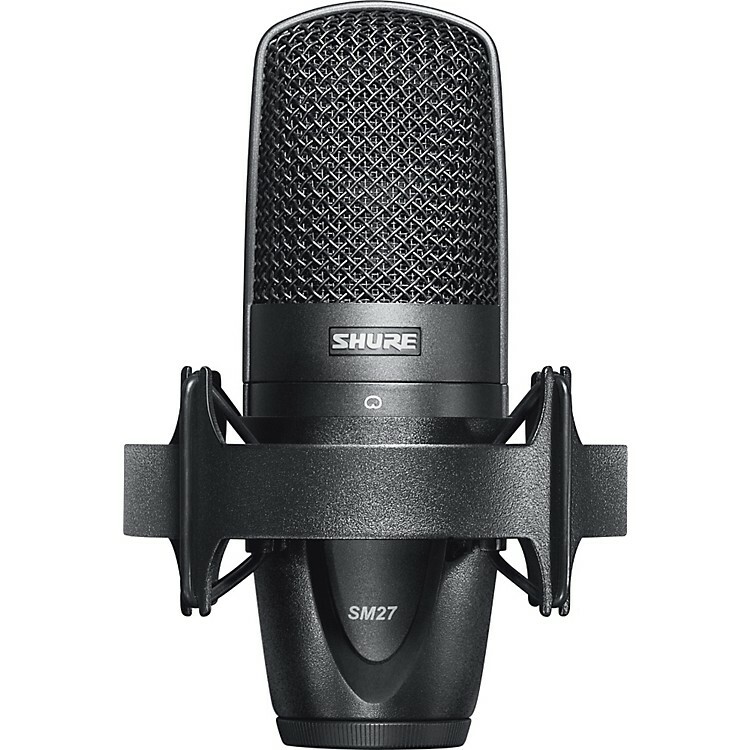 Vocals, acoustic and electric guitar, drums, overheads ... you name it, the Shure SM27 does it. With an incredible maximum SPL (sound pressure level) rating of 152dB, a very low noise floor (9.5dB), and pristine 20-20,000Hz response, the Shure SM27 cardioid condenser mic is the "desert island" mic which is equally at home in a high-end recording facility or a personal project studio. Superior transient response is provided by an ultra-thin, 2.5 Î¼m 1", 24 karat, gold-layered diaphragm. Add a Class A discrete preamp combined with premium electronic components, and the SM27 offers a pristine sound one would expect from a mic costing much more. The Shure SM27 includes a professional, rubber suspension shock mount and a velveteen soft storage pouch. 3 separate mesh layers reduces wind and breath noise.